With his career path beyond 2019 still murky, Colorado Rockies’ South Korean reliever Oh Seung-hwan said Wednesday he’ll only focus on the present. After weeks of offseason training at home and in Japan, the 36-year-old right-hander left for the United States Wednesday. The Rockies will open spring training in Scottsdale, Arizona, on Feb. 13. 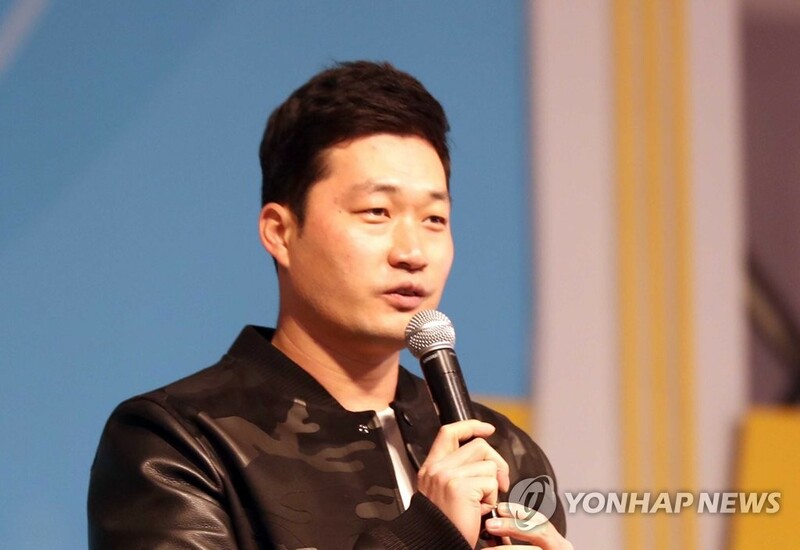 When he returned to South Korea for the offseason in October, Oh said he wanted to return to the Korea Baseball Organization (KBO), citing mental fatigue after spending the five previous seasons in the U.S., Canada and Japan. Oh is the KBO’s career leader in saves with 277, all of them coming with the Samsung Lions across nine seasons. Though he didn’t end up signing with a KBO team during the offseason, Oh’s comments fueled speculation that 2019 could be his final season in Major League Baseball (MLB). He is under contract with the Rockies for one more season. Asked to comment on his future in the majors, Oh said he’ll cross that bridge when he gets there. Oh spent his entire nine-year KBO career with the Lions, who still hold rights to Oh. If he wants to pitch in the KBO again, he can only sign with the Lions, unless they relinquish their rights and make Oh a free agent. The Lions, in the midst of rebuilding, didn’t pursue Oh during the offseason. Oh split the 2018 season between the Toronto Blue Jays and the Rockies. He went 6-3 with three saves and a 2.63 ERA in 73 appearances. He had a vesting club option worth US$2.5 million for 2019, which kicked in after he surpassed 70 appearances in 2018. Oh pitched for the St. Louis Cardinals in 2016 and 2017. And after his two-year deal with the Cards ran out, Oh didn’t sign with the Jays until February, just days before the start of spring training. And with the end of another contract looming, Oh said he isn’t putting any extra pressure on himself. Oh said he was pleased with his offseason training and declared he feels better physically heading into this spring training than the last. The Rockies had some issues with their bullpen last year, despite spending more than $100 million to put it together, and the team has lost dominant righty Adam Ottavino via free agency to the New York Yankees. Oh said he and other remaining arms will be ready to step up.